It's a bittersweet day here in the Kreations household. Tomorrow morning we leave Colorado and head off to our new adventure. I'm not sure if we'll ever be back or not, due to the circular nature of our job, but I'm both excited and sad to leave here. One of the good things is that I get to go home and spend a week with my family before we head off. We won't be this close to them in a while, so I don't know if it will be the last journey for a while or not. So I hope to make it a good one. 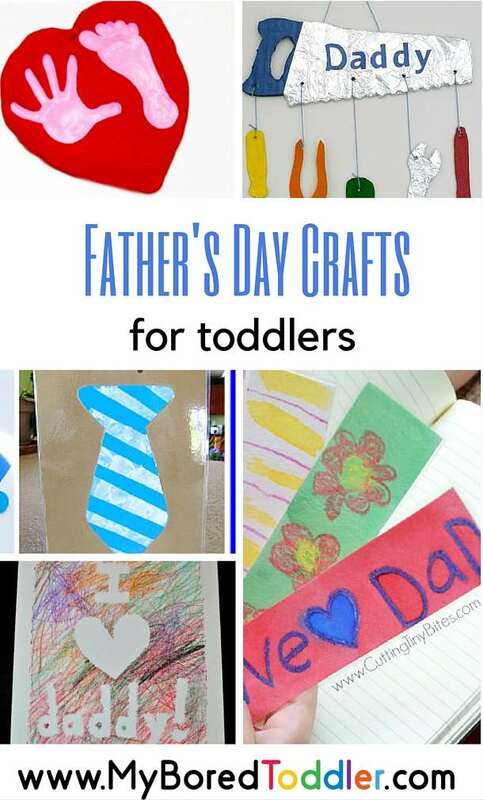 And since it will be so close to Father's Day, I need to get my rear in gear and get my Father's day gift made for my wonderful daddy. 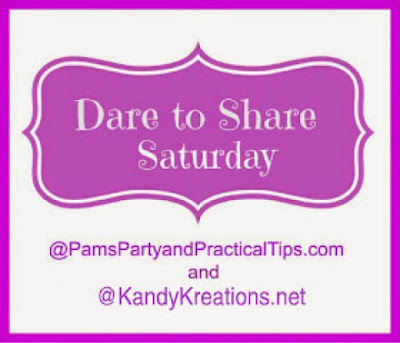 If you are still looking for some gift ideas, here are three from last week's Dare to Share Saturday blog linky party. In case you missed them, check them out. My friend and co-host Pam from Pam's Party and Practical Tips is also ready for some summer and some summer love---with Strawberries. 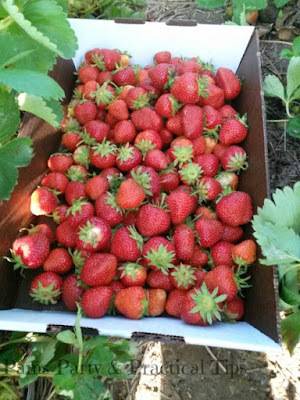 This week shared some great Strawberry recipes that you just have to go check out. Strawberries are one of my favorite fruits of all time, so I can't wait to get to my Mom's house so I have a kitchen to try some of these.